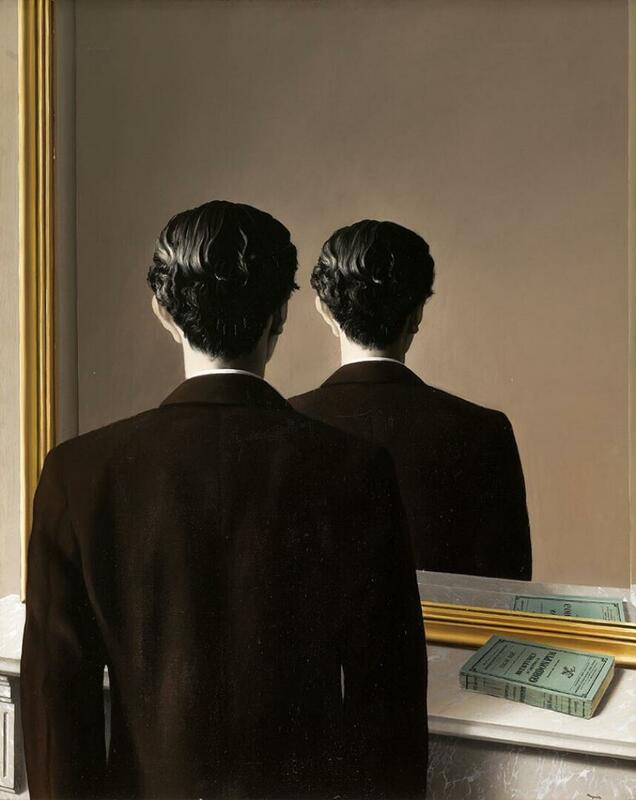 Dear sir or madame, When is the painting "La reproduction interdite" of Rene Magritte back in Rotterdam? Where is it in the mean time? Thank you very much. hi, I am doing a research on "La reproduction interdite" and would like to know the date that has come to your museum (1977?) and where it was before coming here. thank you. What does the book cover say? The bookcover in this painting says “Aventures d’Arthur Gordon Pym”, in English “The Narrative of Arthur Gordon Pym of Nantucket”, a novel of Edgar Allan Poe. The thing that interested the Belgian surrealist artist Magritte was the mystery that lay in everyday visible reality. He was not so much inspired by the invisible, the subconscious and dream images but rather by ordinary objects to which he gave a twist. The man Magritte portrays here is the eccentric wealthy Englishman Edward James. He was a friend of the artist and bought various works from him. In the 1930s Edward James was the benefactor of both Dalí and Magritte. Magritte based the portrait on a photograph he made of Edward James looking at the painting 'On the threshold of freedom'.